Andrew ! | Gods Love & Stories Of The Past? 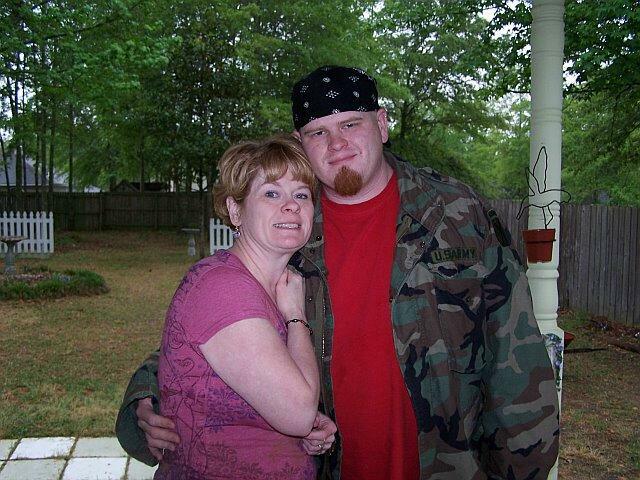 This is a picture of Rhonda’s son , my oldest grandson Andrew who is 22years young ! can you see any resemblence ? The other picture is Rhonda’s daughter , my oldest grand daughter who is married to a marine stationed at camp Pendleton ?She is 20 years young ? he would look just like grandpaw! You are really good at taking nice pictures! Now I do like nature pictures but I really DO love people pictures! Is Andrew ornery like Grandpaw is? Does he think that Canadian women are mean and is his girl friend gonna’ pop the question so he can live happily ever after? Would we really have two of Ron, Gordoncloud!! You are surely right…the world would NOT be the same EVER again!! Did you get my reply from the letter you wrote Bernie and me Ron? Bro. Gordon I been trying to train him ever since he has been born ! Terry there is already two Ron’s But Andrew could possible make it three ? Yep I received your reply and I figured Bernie would get a good laugh ! Blessings to ya’ll ! Ron.